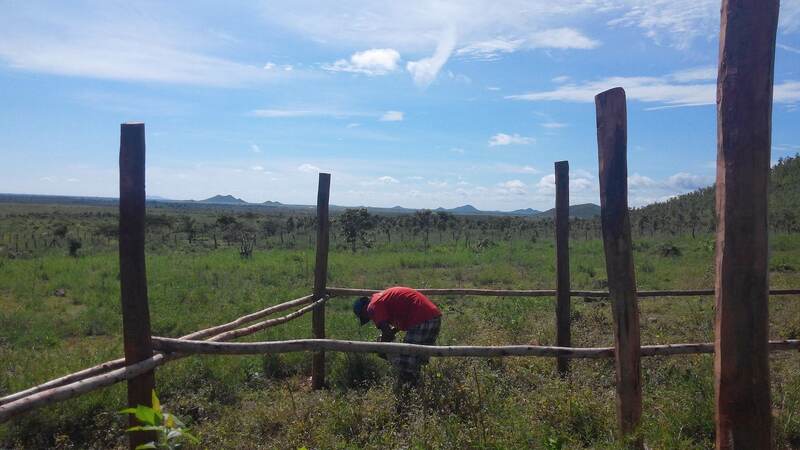 This project is designed to financially support Serve Cambodia’s education and community development projects so that we can start to become self-sustaining and gradually reduce our reliance on the support of our wonderful sponsors. This goat farm is located in Kompong Speu Province, it is approximately 2.5 hours drive from Phnom Penh. 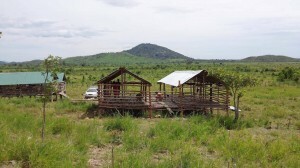 The farm size is nearly 4 hectares, in an area with good rainfall that allows enough vegetation growth to feed the goats, but is also safe from flooding in the rainy season. 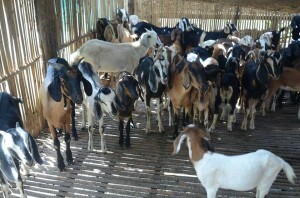 We sent our staff to visit other goat farms to learn the techniques required to raise the goats, produce food for goats, and vaccinate them against disease. In late 2015 the goat farm was set up by clearing the land, putting up fences, building 6 goat houses, preparing the water system and employing a local family as the caretakers. 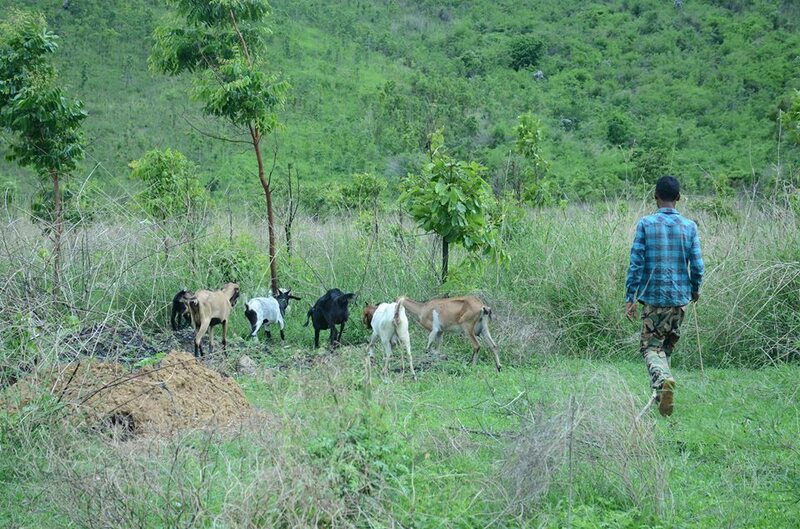 We started with just 9 goats, with the aim to ultimately have 200 goats on this farm at any one time. 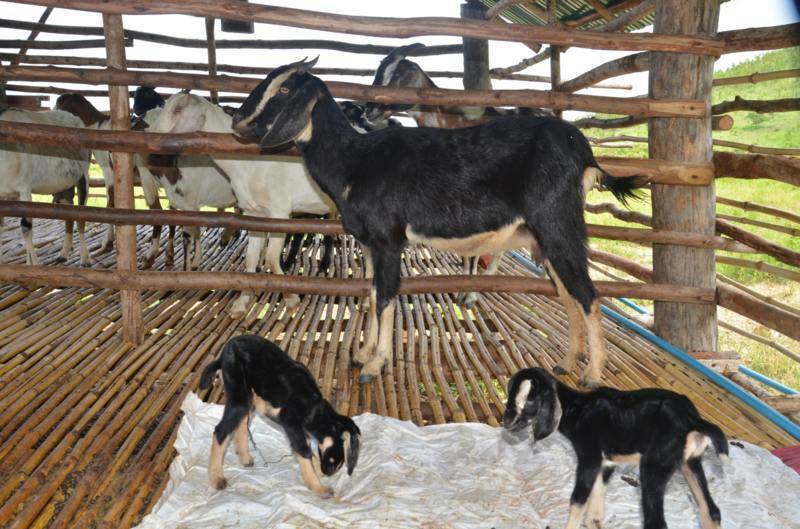 Through a combination of breeding on the farm plus purchasing more adult goats, the total had reached 95 goats by September 2016, with approximately 50 more baby goats due to be born by the end of December 2016. 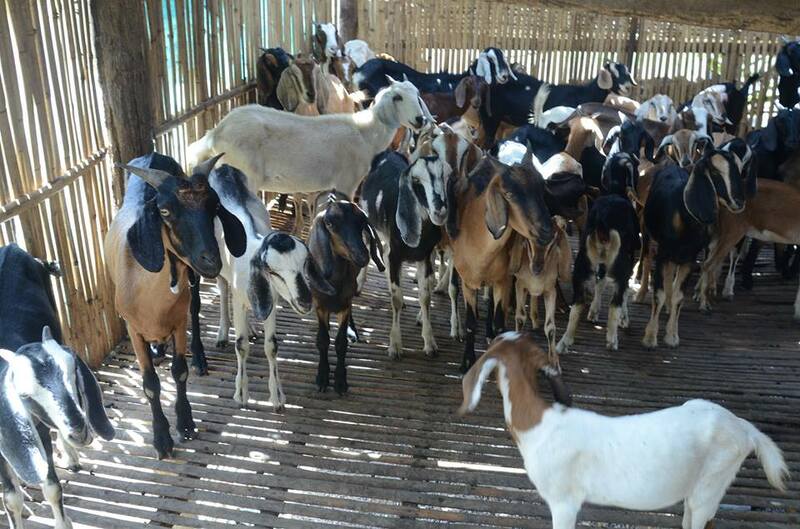 Additional female goats of breeding age will also be purchased as they become available, but this is a slow process given the scarcity of local meat production in Cambodia which falls far below the level of demand. Goats are generally very hardy, can grow to maturity within 6 months when there is an abundance of food, and each female goat averages 3 babies per year. The meat sells for around US$5 per kilo to the local community, restaurants and abattoirs. 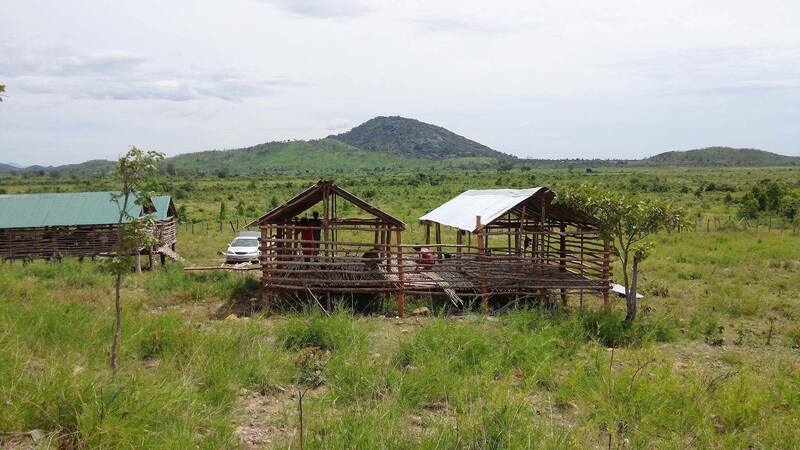 A second goat farm is planned for 2017, when the first farm is at full capacity and Serve Cambodia has raised enough money to purchase the land and build the goat houses and fences. 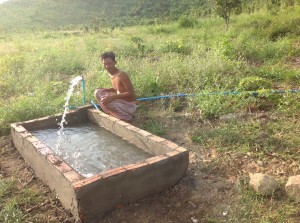 This will help to fund further projects and provide sustainable income for Serve Cambodia into the future. 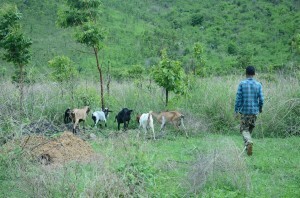 For Serve Cambodia to buy further adult goats costs AU$150 each – Would you like to buy a goat for the project? It is a great investment for the future of the poor in Cambodia, which will multiply in value more than 200% each and every year into the future. 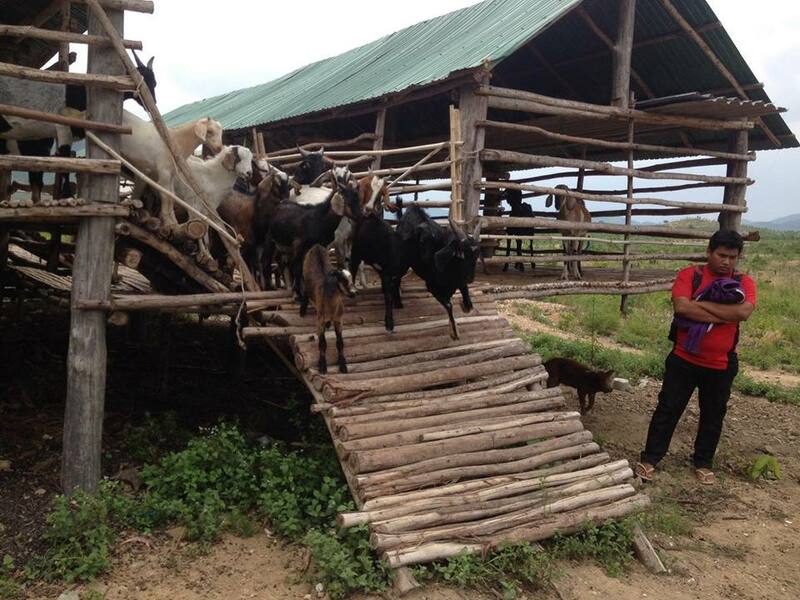 If you would like to donate a goat, please go to http://www.accirelief.org.au/wr084 or call ACCIR on 1300 997 502, and simply note the donation for “BUY A GOAT” for Project Code WR084 (Serve Cambodia). Or if you would like to register your interest in supporting this sustainability project, then just fill in the contact form below and we will be in touch!